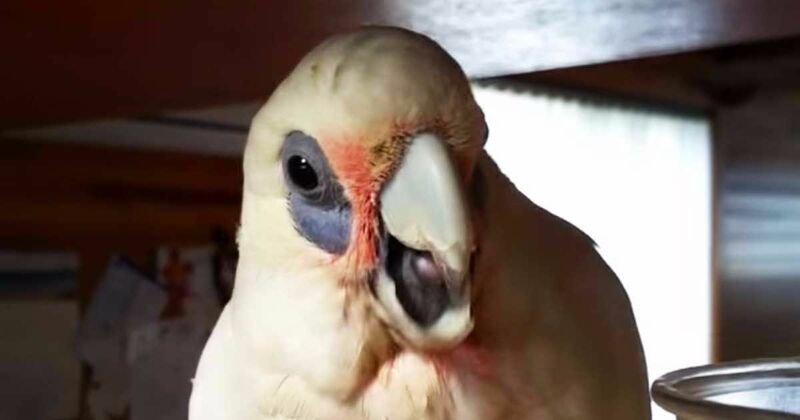 If you think kids are the only ones who go crazy while stuck inside on a rainy day, a crazy little cockatoo is going to show you animals suffering from boredom can cause chaos too. In this hilarious video, Eric is seen throwing a fit - and some coins out of his mom's coin jar. The cockatoo might be tiny, but he sure is mighty throwing those coins across the room. Eric is a bit feisty too - talking back to his mom, and repeating what she says as she tells him to stop making a mess. The video is just too cute, and any parent will laugh in solace with poor Eric's mom - knowing exactly what she is going through dealing with an unruly child. You have to see and laugh at this video for yourself. Be sure to check it out right here below. Eric is one bad bird! Share this crazy bird's hilarious tantrum with your friends on Facebook, Twitter and Pinterest.